How will you assure Jewish tomorrows? 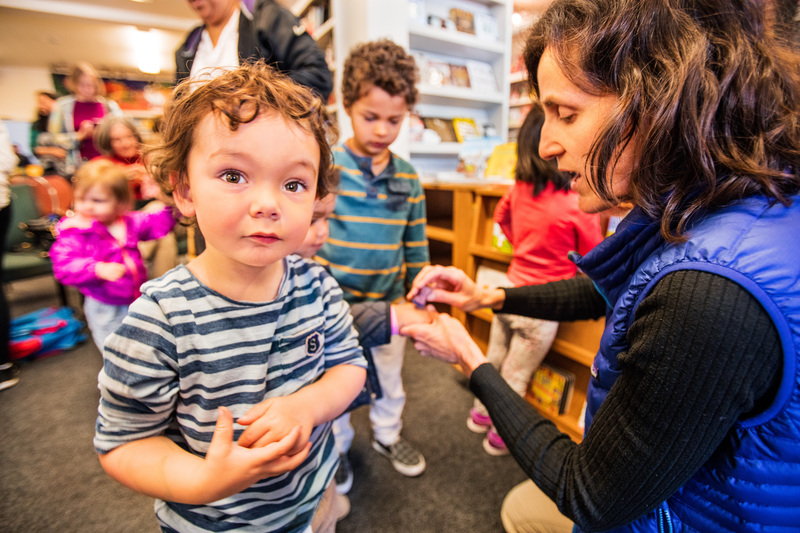 TOP is proud to partner with the Harold Grinspoon Foundation to continue the LIFE & LEGACY Program with select area agencies who share a commitment to leaving a legacy and ensuring our Jewish communities remain vibrant for future generations. Through the program, participants receive training and marketing materials to make legacy giving a priority, and join together in celebrations. TOP has already secured nearly 500 legacy commitments, and hoping for many more! To read more about TOP's re-launch of the Program, click here. Legacy giving is for people of all ages and wealth status. By signing a Letter of Intent, you are making a commitment to help provide for the needs of tomorrow through after-lifetime giving. You decide which agencies or synagogues you want to support and the amount of your gift. Click on a link below to download a form. 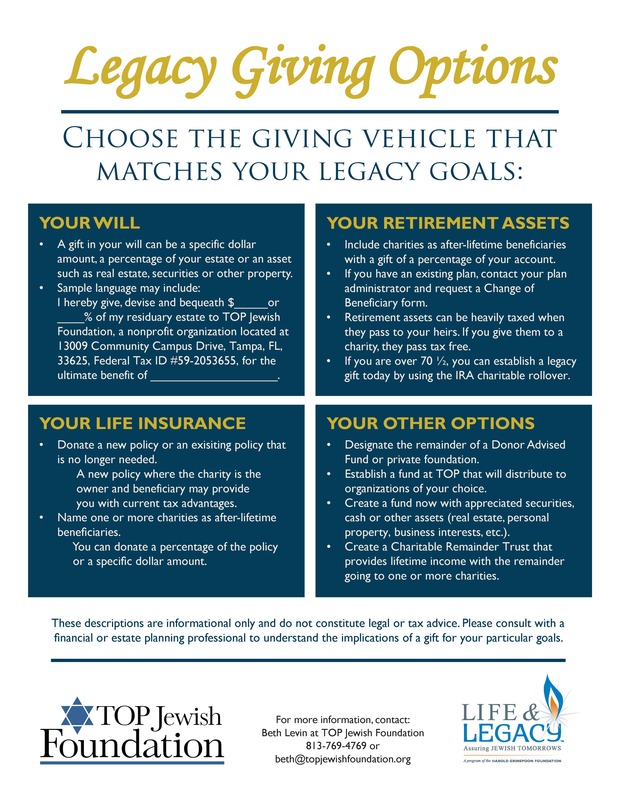 Ready to formalize your legacy gift? The most common options are through a Will or Trust, Retirement account, or Life Insurance Policy. Some of these options are very simple and have little or no cost. If you have already completed a Letter of Intent, click on a link below to download a form. Note the form is 2 pages. TOP is proud to partner with organizations in Tampa, Orlando, Pinellas, Naples and Gainesville. Participating organizations are listed on each form above. We know that some of the most interesting and tax-efficient options can be a bit complex. That's why TOP Jewish Foundation staff works with your attorney, accountant, and other advisers in helping you take advantage of these programs.